The Lake Orion varsity boys basketball team held on during a back-and-forth game Friday night to notch a one-point overtime win against archrivals, the Oxford Wildcats. 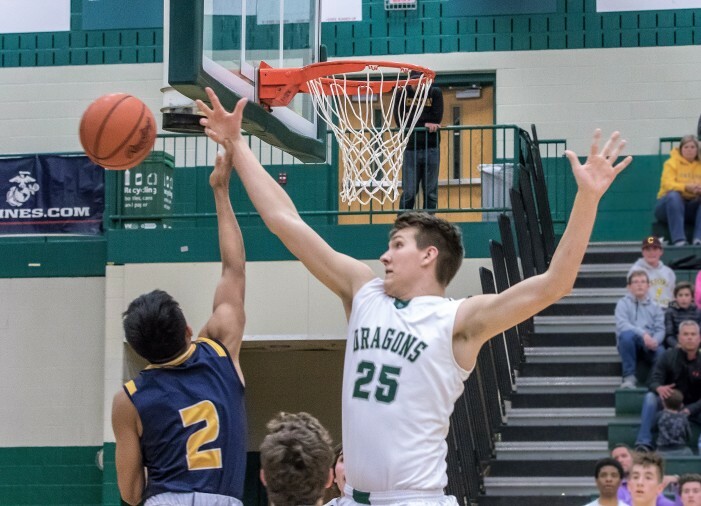 The victory at the Lake Orion Fieldhouse put the Dragons at 2-0 on the young season. Lake Orion took the early lead in the first two quarters, but the Wildcats scrappy play cut the lead to seven at halftime, 28-21. That Wildcat’s momentum continued into the third quarter, when Oxford outscored the Dragons 18-11 to tie the game at 39 points heading into the 4th quarter. A defensive battle in the 4th quarter garnered only 9 points for both teams, with a late-game field goal by Oxford tieing the game at 48 at the end of regulation. Both teams were in double bonus in overtime, as the game became a shoot-out from the stripe. The Dragons edged out the Wildcats on a Jamie Lewis basket with under 3 seconds to play in overtime. Lake Orion was led by senior Jamie Lewis, who had 18 points, 4 rebounds and 3 steals. Junior Nathan Talbot had 11 points, 6 rebounds and 1 block; junior Jake Rydquist had 9 points, 7 rebounds and 2 steals; and senior Casey Stironek contributed seven boards. The Dragons started out the season with a big win by scoring 77 points in the first game of the year against Avondale, a point spread that the team didn’t come close to having a year ago. Lake Orion beat the Avondale Yellowjackets by 15 points, 77-62. Last season, Avondale beat the Dragons by 34 points. The boys came out determined this year, running their opponent’s home court. Early in the fourth quarter, LO was up by 23 points. “The 1st and 3rd quarters were really strong, we scored 47 points in those two quarters and they only scored 19, so to think we outscored that team in those two quarters is certainly a good sign,” said Manzo. Senior guard Jamie Lewis led the Dragons with a career high 30 points. Junior center Nathan Talbot and sophomore forward Drew Van Heck scored 12 points each, while junior forward Hunter Sites hit for 10. Seniors Casey Stironek and Pierce Burke both had solid play the first game out, Manzo said. The team is fairly young, with four seniors, eight juniors and two sophomores. The starting lineup for the first game was two seniors and three underclassmen. And the team is strong and determined, Manzo said. Each player brings something to the table. Of the 14 players, 11 had court time in the Avondale game. Hunter Sites, a junior who played on the varsity team last year. Hunter is a crafty competitive player, who plays forward. Jack Cummins, a sophomore guard already in his second year at the varsity level, has superior shooting and passing skills for a young player. Senior Casey Stironek plays forward and is a third-year varsity player. During his last 10 games of the season last year, he averaged 10 points and 10 rebounds per game. Stironek gets in there and digs to get the job done, Manzo said. Jamie Lewis is also a senior guard, and a third-year varsity player who was the team’s leading scorer a year ago, averaging 16 points per game. He brings a strong defensive chops to the team with great basketball instincts. There are nine talented players rounding out the Dragons. Sophomore forward Andrew Van Heck is a second-year varsity player. He is a fierce competitor and one of the team’s best rebounders. He brings an attitude to the team that gives them a tough shell. Drew Crane is a guard for the team and an outstanding defensive player. Crane is a senior who takes on a leadership role and sets an example on how to play hard all the time. Forward Pierce Burke was with the varsity team last year and is a versatile, athletic player who can switch positions. Burke is one of the few guys on the team that can actually dunk the ball. Shayne Barkley was on the JV team last year as a sophomore. His position on the varsity team is guard and he is a good shooter and defensive player. Jake Rydquist is a guard and was one of the leading scorers on the JV team last year. The coach said that he is in incredible shape, a hard worker and a very coachable kid. During the Avondale game, Rydquist saw significant minutes, which was the first time he played in a varsity game. Junior Marcus Brown is a guard for the team. In the previous two seasons, he played on the JV team and is a good athlete with good instincts. Junior forward Kyle Loken also played JV last year. Loken is the type of player that would run through a wall for his teammates and he brings a lot of grit to the team. Being a physical, passionate player, he is not afraid to go to the floor for a loose ball or set a screen. Junior Guard Nathan O’Conner also played the previous two years on the JV team. He is a fierce competitor with a lot of grit. Helping motivate and give direction to the team is manager Olle Malmstedt, who practices with the guys but doesn’t dress for the games. So what does the team need to work on? Coach Manzo said the team needs to work on shooting the ball a little better — some practices the shots are good, and others the connection isn’t quite there. And consistency is the key the team needs to pull it all together. Having a team that puts out four good quarters is what’s going to get them to the next level. The team is in a new league this year and the competition is going to be stronger than what they originally thought. 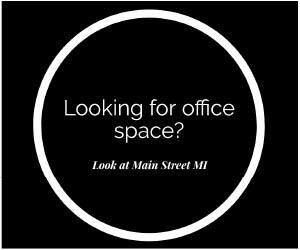 The biggest team battles ahead look like it’s going to be on the court with Rochester, Pontiac, Farmington and Ferndale. “I think they are going to get better and better as their confidence grows. They are a very hard-working athletic group and they get along really well. All those are positives,” said Manzo.